ST. GEORGE — Utah has one of the highest rates of overdose deaths in the nation and one group is doing its part through a billboard ad campaign to both make the epidemic more visible and inform the public about the anti-overdose drug naloxone that could well save lives. Each of the billboards includes a picture of an overdose victim along with the group’s message. Sam Plumb and his sister Jennifer Plumb, an emergency pediatrician at Intermountain Healthcare’s Primary Children’s Hospital in Salt Lake City, manage the group behind the billboards, Utah Naloxone. The group operates out of the University of Utah School of Medicine, department of pediatrics. Utah Naloxone is working to promote both knowledge and availability of the medicine, Sam Plumb said. 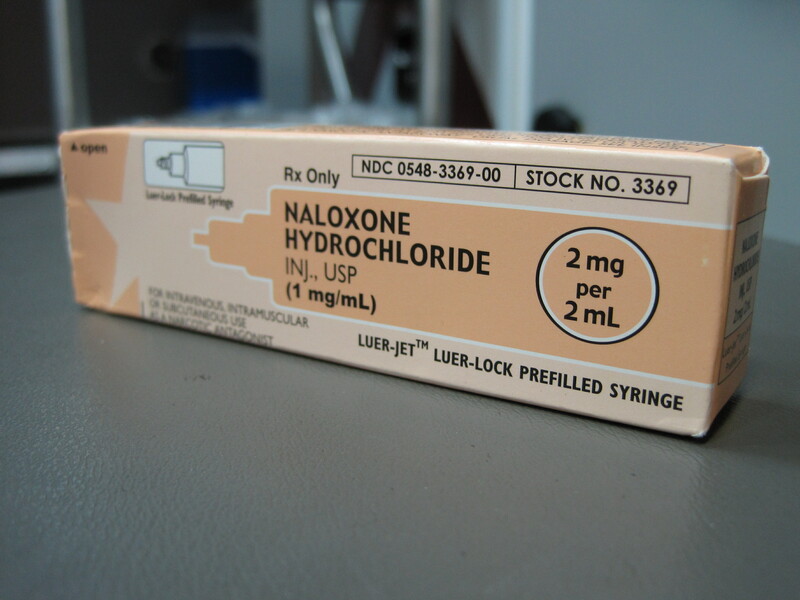 Naloxone is an opioid overdose antidote that can temporarily stop the effects of an overdose. According to the Utah Naloxone website, the drug works because it has a stronger affinity for the brain’s opioid receptors and knocks opioids and heroin from their attachment to the receptors, causing almost instantaneous sobriety. 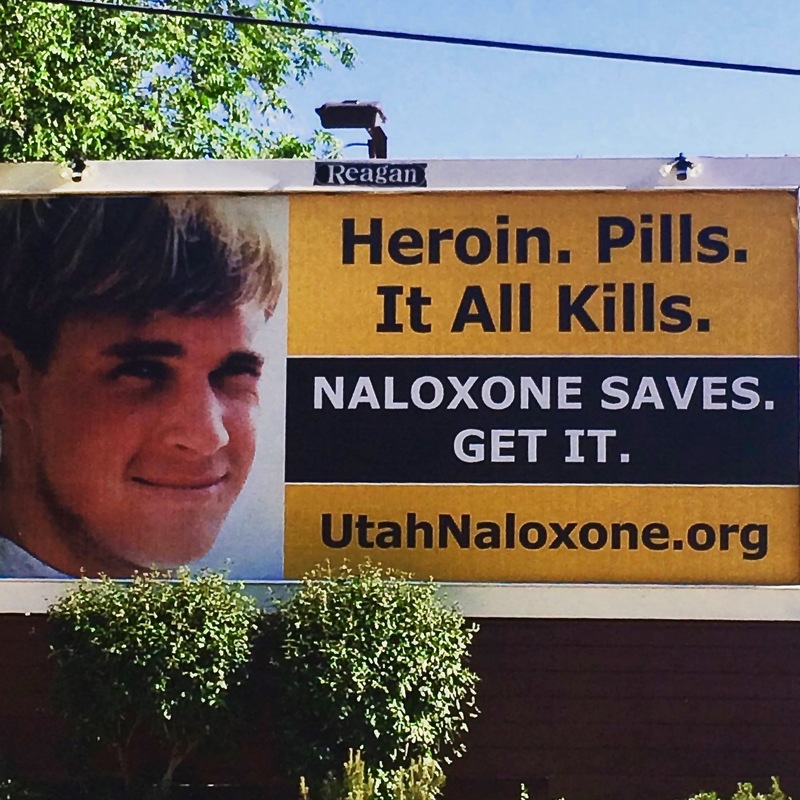 The Utah Naloxone billboard campaign began at the end of June 2016 and is expected to last approximately eight months. Currently it has placed 15 billboard ads in high-traffic areas throughout Weber, Utah and Carbon counties, the Wasatch Front and Vernal. The newest billboard will be placed in St. George mid-July and may be either print or digital. Naloxone only works for 30-90 minutes per dose, meaning that overdose symptoms may recur after it has worn off. The drug comes in two forms: syringe and nasal spray. Utilizing naloxone to stop an overdose comes with extremely painful side effects, Sam Plumb said. Once administered, it sends the user into an immediate state of withdrawal, with all its attendant symptoms, making for a powerfully unpleasant experience. One user whose life was saved by naloxone told Sam Plumb he never wanted to experience that feeling again. But, naloxone is one of the safest drugs available, he said. It has zero potential for abuse, the dosage is the same for anyone and if it is accidentally administered to a person overdosing on substances other than opioids, it will cause no harm. Utah law dictates that naloxone can be prescribed by a doctor, nurse practitioner or physician assistant to anyone who is at risk of overdose or those who have a relationship with someone at risk. Naloxone is very effective as an anti-overdose medication, but it does not remove the root of the problem: addiction. Richard Moody, clinical director of TurningLeaf Wellness Center in St. George said naloxone is a temporary measure. Getting the person off the drug they are addicted to and helping them lead drug-free lives should be the main goal. Moody supports the efforts of Utah Naloxone to get the medication to those who might need it. “In my mind, that’s a great idea,” he said. Even for Moody’s low-overdose-risk patients — those who are using pain medications — he recommends having a naloxone kit on hand. Moody used the example of a client who overdosed twice on heroin in the last year; had the woman had access to naloxone, she might not have needed hospitalization, he said. Despite the obvious lifesaving properties of naloxone, Moody said he worries that drug addicts — who are great at rationalizing — might allow themselves to take higher doses of opioids believing themselves safe from overdose. The Utah Naloxone group was founded July 1, 2015. In that time, Sam Plumb said, the group has distributed close to 2,400 naloxone kits, given training to eight law enforcement agencies and given multiple talks to a variety of groups. In the last year, there were at least 90 overdoses that were reversed from just the kits Utah Naloxone has distributed. Unconscious or unarousable; the person will not wake up, even with painful stimuli. Respiratory depression; the person displays slow or gurgling breathing, ultimately breath ceases. Pinpoint pupils; the person’s pupils do not enlarge when eyelids are opened. Slow heartbeat; less than 50 beats per minute. I’d be curious to know if heroine addicts commit crimes at the same rate as meth addicts. Often times the best thing that can happen to these addicts is to land in prison. Well that’s just your opinion. and that’s all it is ! Is there an antidote for stupidity? Lmao good one ladybug ☆ ! no antidote for stupidity. so we can’t help Bob. ! now that’s funny stuff right there ! LOL !